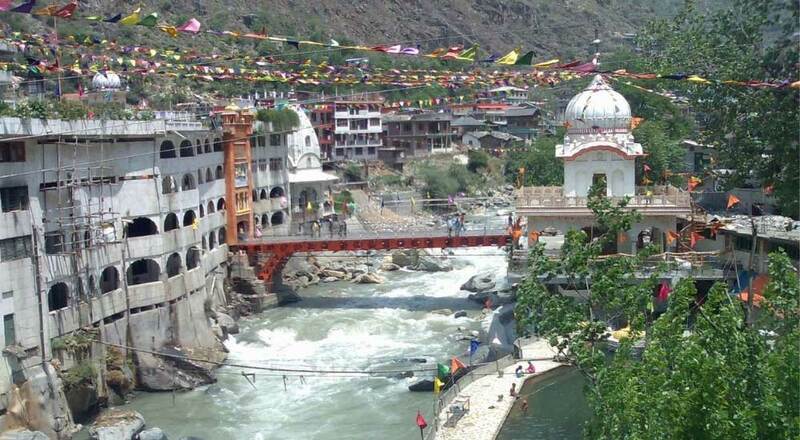 One of the primary Manali tourist attractions is the Hadimba Temple that was constructed in the 16th century. 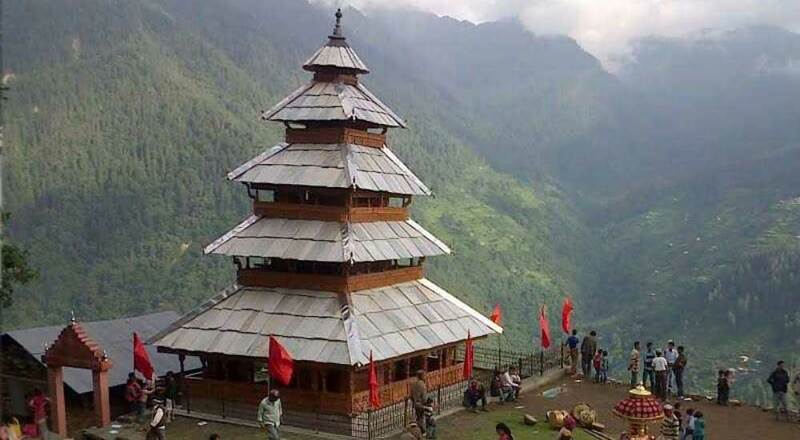 The temple is situated at a distance of 2.5 kilometers from the tourists' office in Manali. 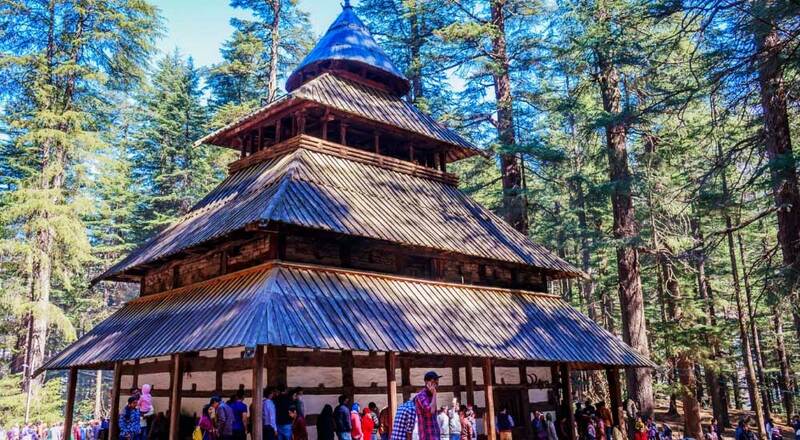 Surrounded by the wooded deodar forests, the temple attracts a large number of tourists who frequently visit the pilgrim spot in Manali. There are various fascinating tourist attractions in and around the Manali town. The great height of the snow capped peaks and the surrounding greenery promises to enchant every visitor to this small hill station. For the more adventurous souls there are options to climb higher to those places where the azure sky caresses the silvery peaks. 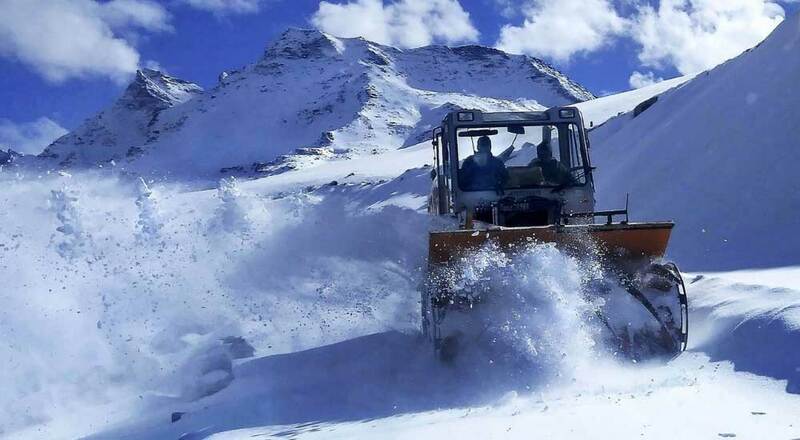 The Rohtang Pass is one such destination, loved by the visitors mainly for the beauty its altitude promises. The Rohtang Pass is the highest point on the Manali- Keylong Road. It is also one of the most beautiful spots in the vicinity. Located at an altitude of 4112 meters above sea level, the spot promises an exquisite view of the surrounding mountain ranges. One needs to travel about 10 kilometers from the picturesque hill station of Manali to reach the fascinating Solang Valley. At an altitude of about 8500 feet above the sea level one can enjoy the bliss of nature on the banks of the river Beas. 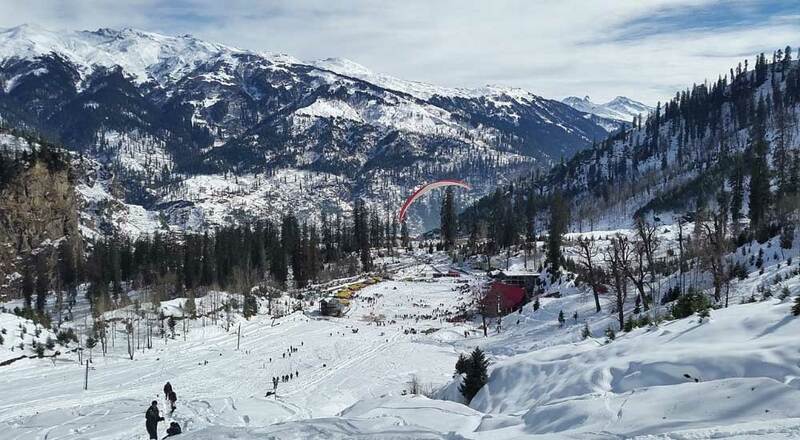 The Solang valley in the Indian state of Himachal Pradesh is a place where one can celebrate peace amidst the snow capped peaks and the lush greenery of the dense forests. 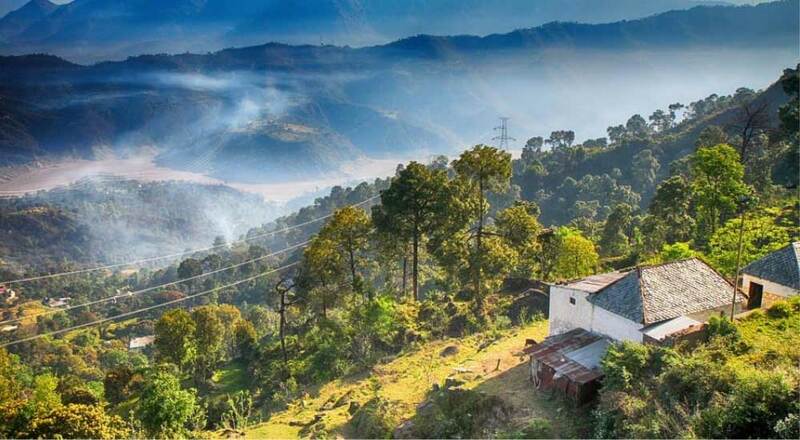 The serene atmosphere created by the vastness of the azure sky, the ravishing beauty of the green valleys and the snow lining on the distant peaks can make one feel the pleasure of being in a heaven abode. 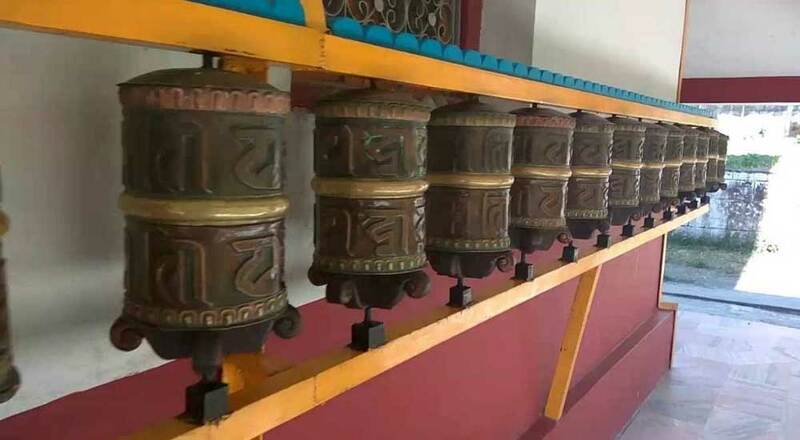 Since a lot of Tibetans live in Manali there are many beautiful Buddhist monasteries here. A few of the popular ones are the Gadhan Thekchoking Gompa Monastery, which is famous for multi-coloured wall paintings and the statue of Lord Buddha. The other popular monastery is the Himalayan Nyingamapa Gompa, which houses a large statue of Buddha with a golden face. Dedicated to the sage Manu, the Manu Temple is situated in the old township of Manali. The ancient temple is located at a distance of 3 kilometers from the chief market place in old Manali. Lying in the congested place, the temple is often visited by the tourists who arrive from different parts of the world to view the only existing temple in the country dedicated to the worship of the Rishi Manu. One of the many exciting Manali Tourist Attractions, the Nehru Kund is only a 6 km journey from the heart of the Manali Town towards Keylong. The Nehru Kund is actually a spring which was named after the first prime minister of India - Late Pundit Jawaharlal Nehru. The serenity of the place will please any mortal on earth. 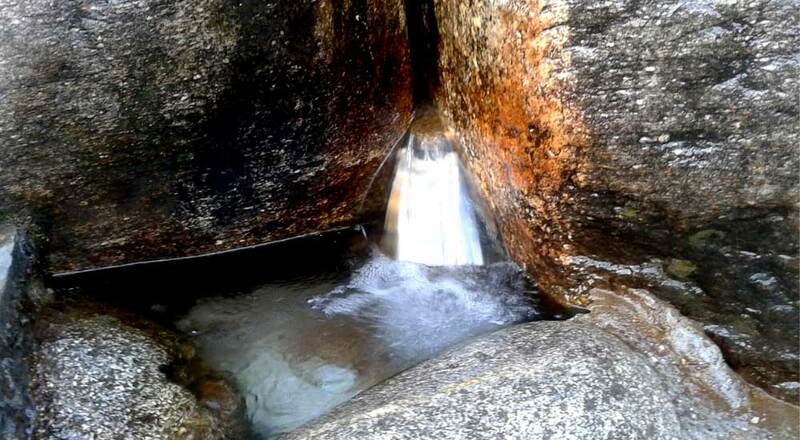 The respected prime minister loved visiting the place and drink the crystal clear water from the spring when he used to stay in Manali. Nestled in the Himalayas, Kullu is a valley gifted with nature's charm and scenic beauty. Splashing rivers, water streams and lofty mountains with the finest of slopes make it a place perfect for adventure sports. It has numerous temples and is, therefore, called the "Valley of Gods". Celebration of Dussehra is in itself a prime attraction of the valley drawing many tourists every year. 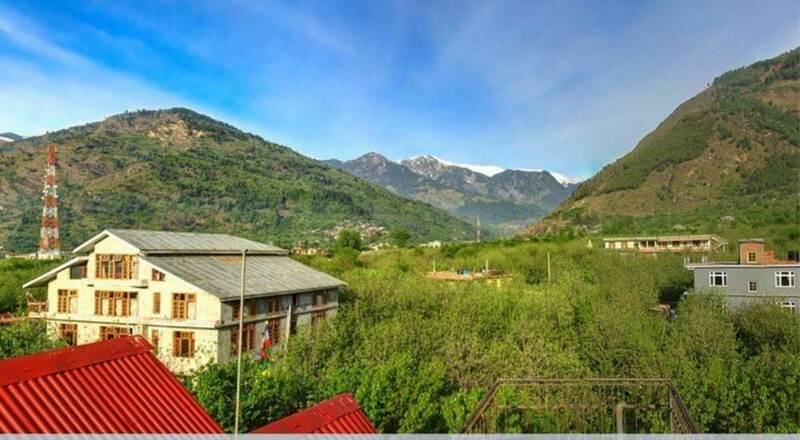 Located at an altitude of 1,463 metres above sea level and around 20 km from the city of Kullu, Katrain is the centre of the Kullu valley and is known for its apple orchards and trout hatcheries. 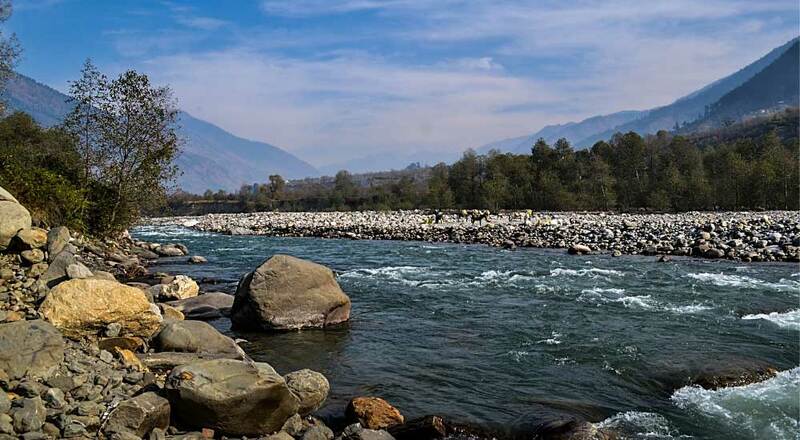 Located on the banks of the River Beas, this former capital of Kullu is famous for a large number of temples, most of them dedicated to Lord Vishnu, Tripura Sundari and Lord Krishna. 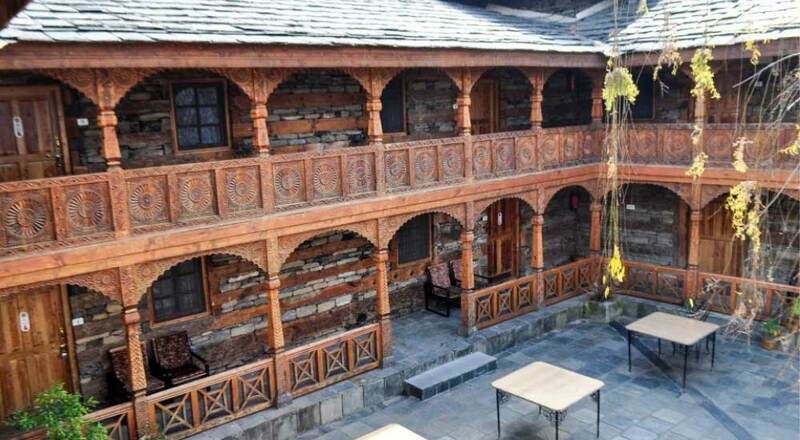 Naggar is also famous for the Roerich Art Gallery, which houses the paintings of Nicholas Roerich as well as his sculptures. 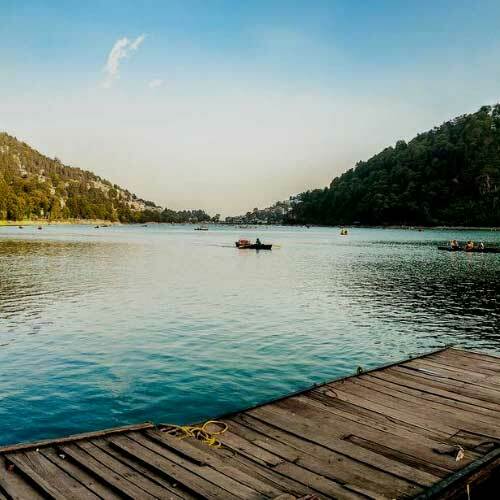 Located at an altitude of 1,640 metres above sea level, Kasol is known for its scenic beauty. It has wide open clearings sloping down to wide expanses of clear white sands at the Parvati River.